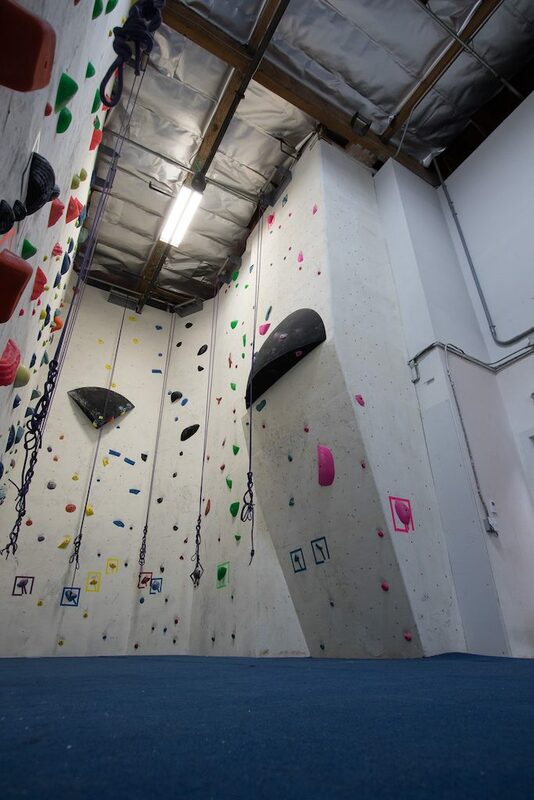 Our top rope and lead climbing facilities offer everything you need whether you’re just learning or you’re an experienced climber. 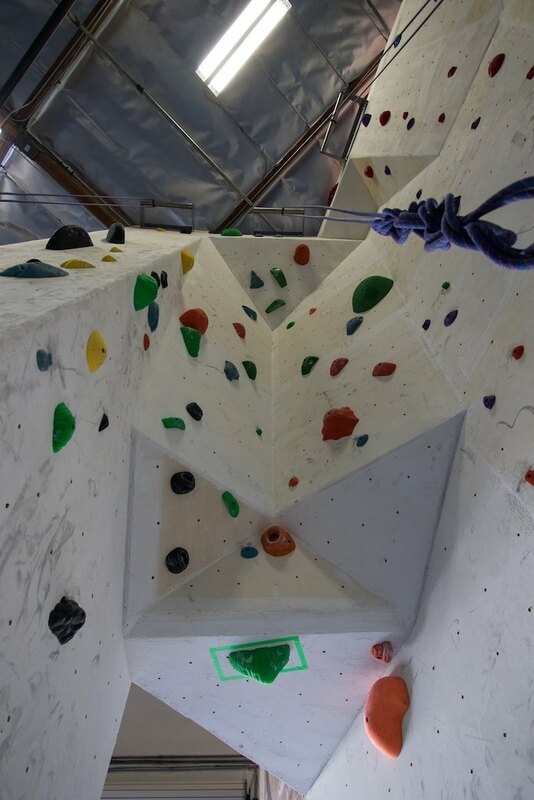 Routes vary in difficulty and style so there is something for every type and level of climber. Top rope and lead climbing facilities are requires that you know how to belay properly and communicate with your climber. If you don’t know how, we’ll teach you the appropriate safety guidelines and skills! With over forty routes to choose from, our top rope climbing facilities have routes from 5.6 to 5.12 so everyone has something to climb. 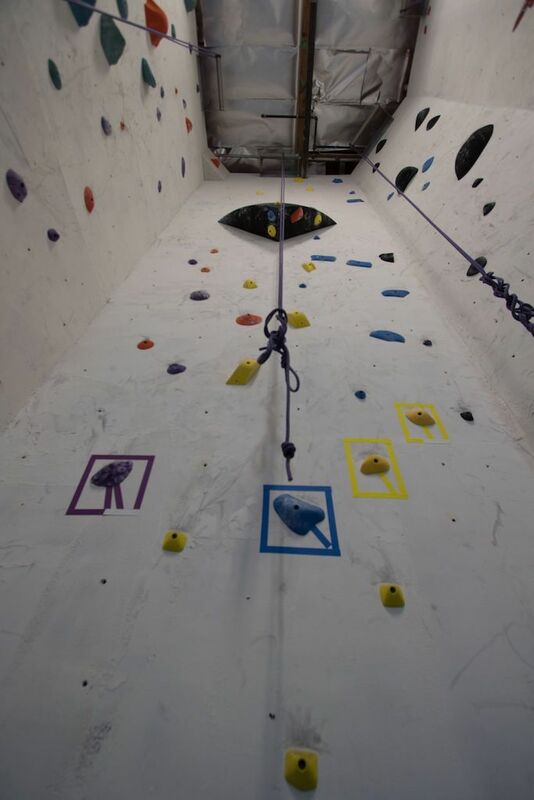 Each belay station is anchored to the floor to make belaying easier. Each station also has at least three routes to choose from. 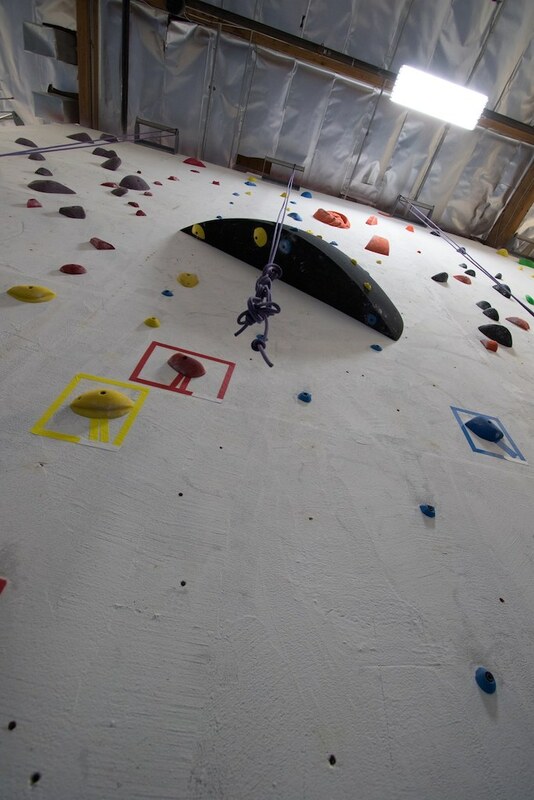 Our top rope area has slab and overhang features. In addition to the top rope area, we occasionally set top rope stations in our lead climbing area so that you have more climbing available. Ready for something a little more advanced? Ask for a lead climbing clinic. Tired of the ropes? Give bouldering a try! 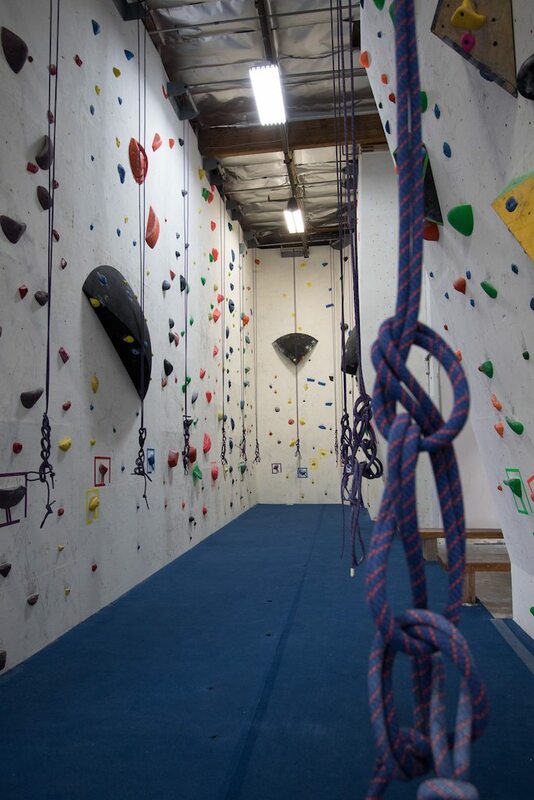 Our lead climbing facilities offer over 80 lineal feet of climbing with 25 foot walls. We have 18 anchor stations and over forty routes set at a time. 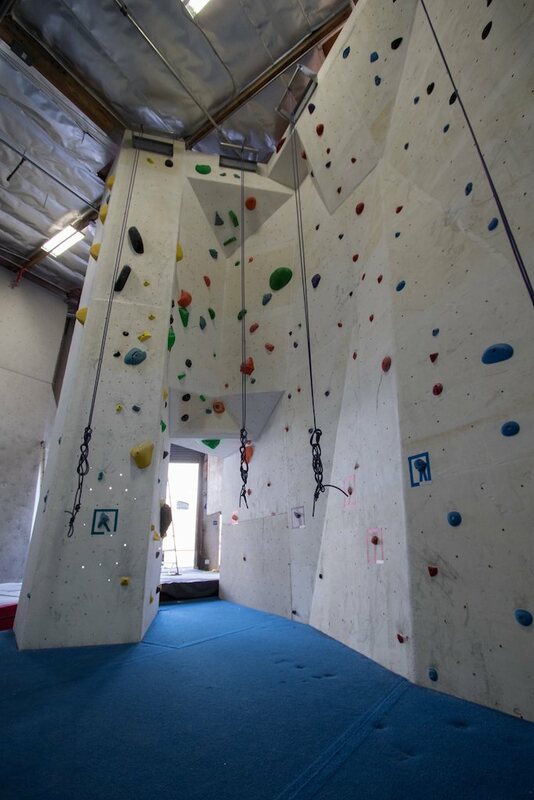 The lead wall features noses, arêtes, slab, vertical, roof system, and tiered overhang climbing. Lead climbing is a form of free climbing where the climber attaches the rope themselves, rather than already having the rope attached above. As they ascend the rock face, they clip the rope into preexisting anchor points to maintain safety. 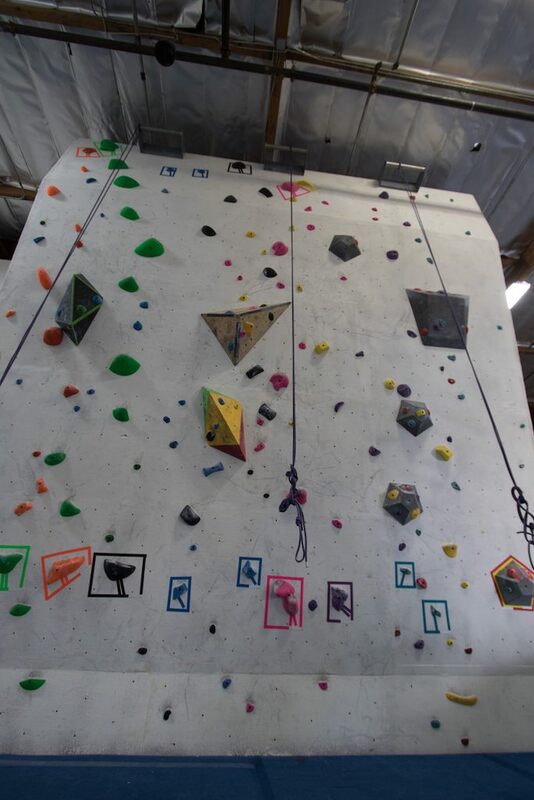 If you’re not ready to try lead climbing yet, check out our bouldering or our top rope areas! If you’re interested in lead climbing but don’t yet know how, set up a time to take a lead climbing clinic.